Anika and I had fun with the kids at Daffron Elementary. Anika is so good! 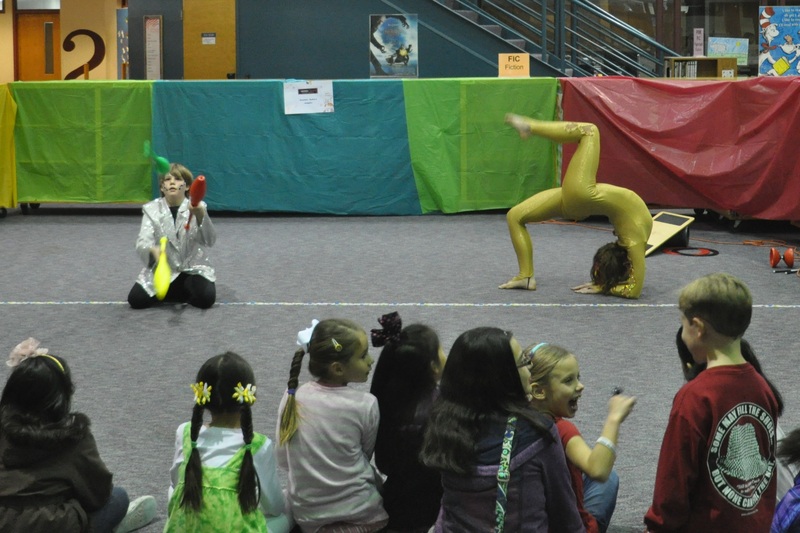 She can do anything — silks, contortion, trampoline, hula hoops! 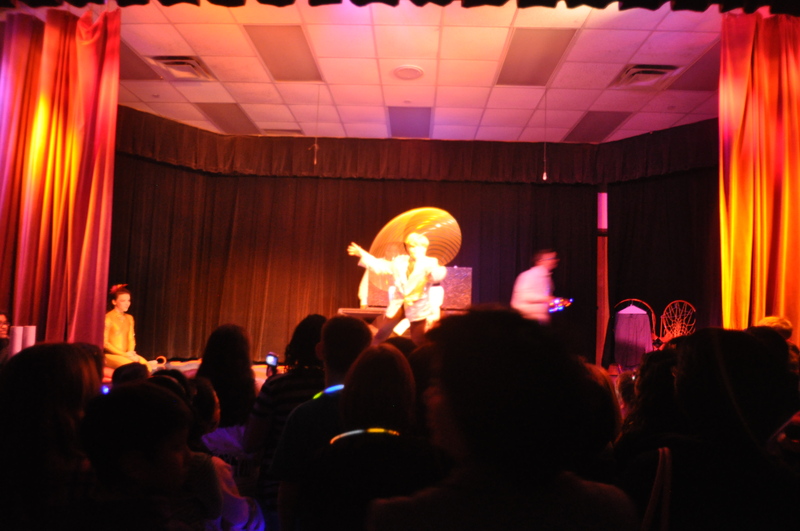 The audience at Daffron Elementary School in Plano was great! I had a lot of fun tonight performing with Anika and Sara at a Circus Night show to raise money for Daffron Elementary School in Plano, Texas. Anika is in my advanced circus class at the Lone Star Circus School, and Sara performed with us this year at Cirque Banquiste. They are both amazingly talented — Anika is great on the silks, and she’s a champion trampoline artist and gymnast, too, and Sara is great at acrobatics, contortion, silks, and hula hoop. We “worked the crowd” as part of the circus atmosphere for about an hour and a half, and then went on stage. I performed on my rola bola (clubs, rings, balls, hula hoop), and did my jump mount and dismount. Anika and Sara did a contortion and acrobatic routine that was really good. I’d never seen them perform together before, but I’m looking forward to my next chance to see them! 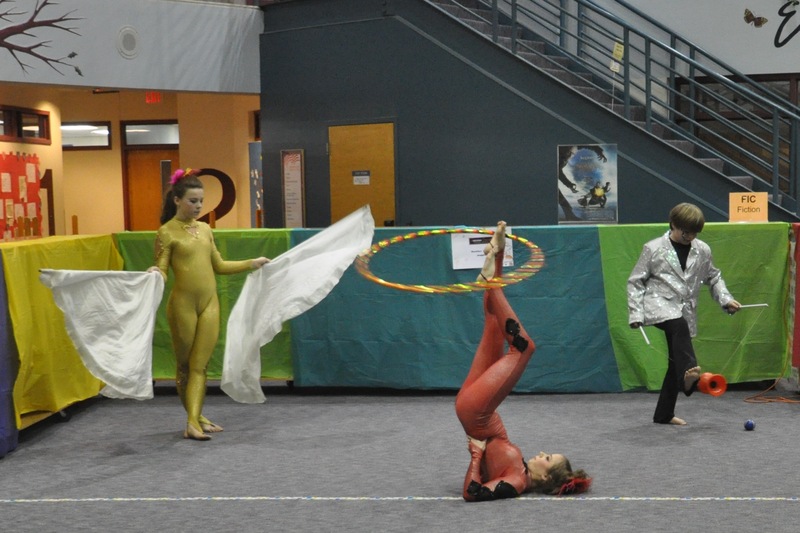 Sara (in red) is amazing with hula hoops, and Anika looked great with her “wings”. I loved the high ceilings in the school atrium where we performed — lots of room for diabolo tricks!